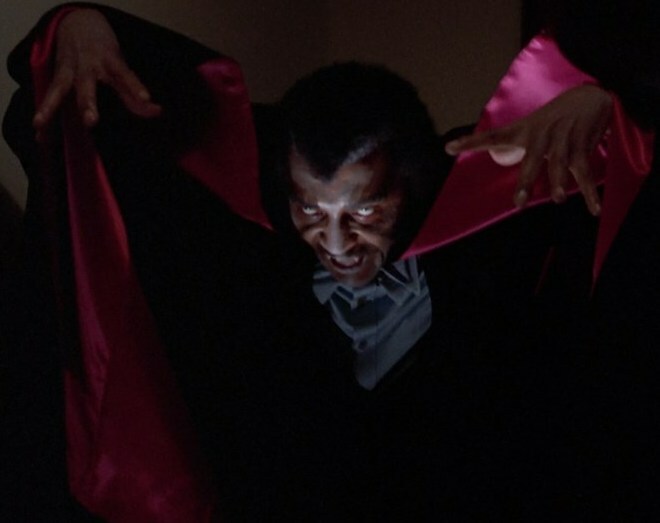 SCREAM BLACULA SCREAM: A Second Bite Of Soulful Shocks – Schlockmania! American International Pictures was a company that never allowed a proven success to grow cold: if any film they released did very well, they would have a sequel or similar-type film in the pipeline a short while later. Thus, when Blacula was a box office hit, it was no surprise that A.I.P. had a sequel in theaters the next year. 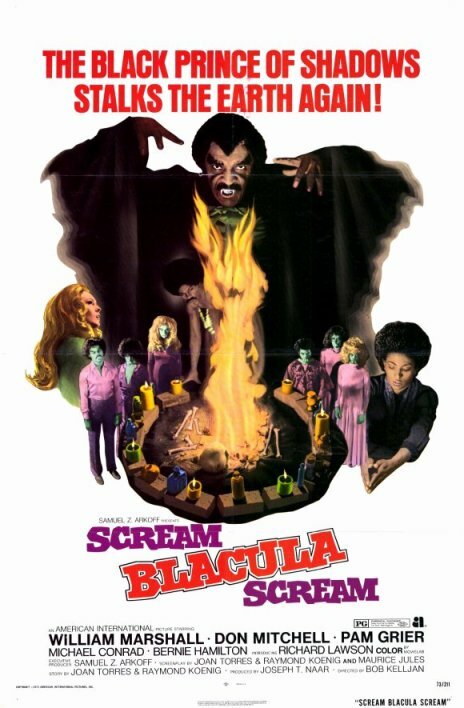 Scream Blacula Scream was that sequel and it offers insight into both the benefits and the drawbacks of striking while the hit-movie iron’s still hot. Scream Bl acula Scream is the kind of sequel that works in fits and starts. It is held back by the messy, episodic quality of a script that was clearly rushed into production before it was ready. There are plenty of appealing and interesting elements in play but it takes half the film for the “voodoo cure” premise to come into focus – and once it does, the plotting and handling of character arcs gets sloppier by the minute as it hurtles towards a hastily-conceived finale that feels incomplete. That said, Mamuwalde remains a compelling horror villain and Marshall gives a commanding, vivid performance that props up the meandering script. He sells the audience on the character’s tragic quality, namely that he has a code of honor despite his affliction: there’s a great scene where he chastises a pair of pimps for imitating their “slave masters.” Grier is interesting as the priestess: it’s more of a retiring, less assertive role than she usually played but she brings plenty of emotion to her work. Scream Blacula Scream also benefits from stylish direction by Bob Kelljan. He was already experienced with vampire movies thanks to his work on the Count Yorga series so he brings a real atmosphere of dread to the scenes where Mamuwalde stalks his prey. The opening voodoo ritual is also a memorably intense sequence, as is a scene where Blacula rescues Lisa from one of his vampire servants. He can’t quite overcome the meandering storyline but he makes its key moments count. In short, Scream Blacula Scream is middling as a sequel to Blacula but fans of the first film will still want to see it because of Marshall’s performance, the novelty of Grier in a different kind of role and the effectiveness of the director’s setpieces. Enough elements work here to make one wish that Mamuwalde could have gotten one more sequel to finish his saga in a grand way.